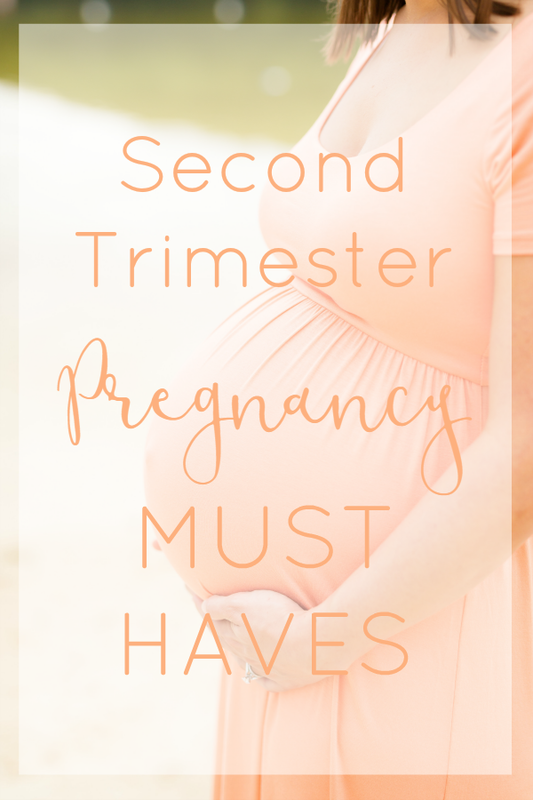 Now that I'm into the third trimester, I thought I'd share a few things that were helpful in getting through the second trimester. I was lucky enough to have morning sickness until about 18 weeks, but for most women, that seems to subside after the first trimester. In addition to morning sickness, some new discomforts appear, but it's also time to start fun things like planning the nursery, baby shower registry, etc. Here are some things I found to be necessities! Tums! * After the nausea subsided came the heartburn!!! After eating or when laying down for bed at night, I got that awful burning in my chest. It's pretty normal to have heart burn and acid reflux during pregnancy because the uterus grows large enough to start pushing the stomach upwards. But that's no reason to suffer! Have some Tums! Besides, your body needs additional calcium during pregnancy and Tums are full of calcium! Stretch mark prevention. Every woman's fear! Your belly stretches rapidly which makes stretch marks likely. Some people are more prone than others, but why not attempt to prevent them if you can? Keeping skin moist and hydrated is supposed to help keep it elastic as it stretches. I've been using Vaseline Intensive Care* moisturizer in the mornings because it absorbs quickly and isn't very sticky. At night before bed I put on Palmer's Cocoa Butter Formula* lotion. So far I haven't noticed any stretch marks, but I've still got the whole third trimester ahead of me, when most of the growth occurs! Body Pillow. * Did you know it is recommended to sleep on your left side during pregnancy? Laying on the left is supposed to increase circulation to the heart, therefore providing optimal circulation to the placenta and fetus. The liver is located on your right side, so as uterus grows, if you lay on your right, your uterus can compress the liver. Laying on your back, your heavy uterus can compress the inferior vena cava which returns blood from your lower body to your heart. And laying on your stomach of course gets pretty difficult after a while! I had difficulty not rolling onto my back during the night, so I bought a body pillow* to put behind me. This way if I did roll back I wouldn't be completely flat on my back. You can also try putting the body pillow in front of you between your knees. Having something to latch onto keeps me pretty stationary too. I also heard great things about the Snoogle* pillow, but I personally felt I was already taking up too much space in the bed and didn't want to torture hubby anymore. If you've got a king size bed though, give it a try and let me know what you think! Maternity/nursing bras. The first symptoms I noticed when I found out I was pregnant was tender breasts. By the end of the second trimester it was impossible to wear my regular bras! Wearing bras that are too small can restrict blood flow and can also cause bruising, blisters, etc. Do yourself a favor and buy some new bras. I didn't want to spend too much money on this since I know they will grow some more once I start breastfeeding, so I actually found some very affordable and super comfortable nursing bras at Target. This way I am comfortable for now, and I'll be all set for the initial stage of breastfeeding. Pedicure. Yep, you owe it to yourself. I try not to splurge on pedicures very often, but as your weight increases during pregnancy, your poor feet are taking a beating! Being on my feet at work all day also takes its toll. I went to get a pedicure with a friend towards the end of the second trimester, and I promise you, I did not regret it one bit!!! Lucie's List. A friend of mine told me about this site at the beginning of pregnancy, and I finally started browsing around during the second trimester. I'm so glad I did! As you start to think about things you need for the baby, it can get very overwhelming! There are so many products out there! Lucie's List narrows everything down for you and points out the most highly recommended products. This was so helpful! There's also plenty of other advice and cute things for baby to browse through! Mommy friends to walk through the baby store with. If this is your first baby, your probably starting to think about your baby registry. As I said above, all of the different products out there are very overwhelming! How is a new mom supposed to know what you actually do and don't need? I took two mommy friends with me to Buy Buy Baby the week before my husband and I went to start our registry. They walked through the store with me and told me what was useless and what was helpful. They pointed out many things that I never would have even thought of and guided me away from some things that are on the store's must-have list. It was so helpful to have someone who knows from experience give their opinions, and I am oh-so-thankful that they helped me out! Spinning babies. Plan on having a vaginal delivery? Starting to worry about optimal fetal positioning? If you know you might be at risk for something other than optimal position (for example, you have an anterior placenta which increases the chance of posterior positioning), it's not too early to start looking into what you can do to increase the chance of baby turning. Spinning Babies is full of information as well as exercises and stretches you can do to encourage baby to move! Husband Coached Childbirth. * This book is geared towards the husband/significant other, but I highly recommend you read it too if you are hoping for a natural birth. It's a great intro to the Bradley method and gives some good tips for relaxation techniques and the stages of labor. I enjoyed reading this book, and my husband is reading it now and says he's learning a lot too! I hope your second trimester is going well! Stay tuned for some third trimester must-haves soon! 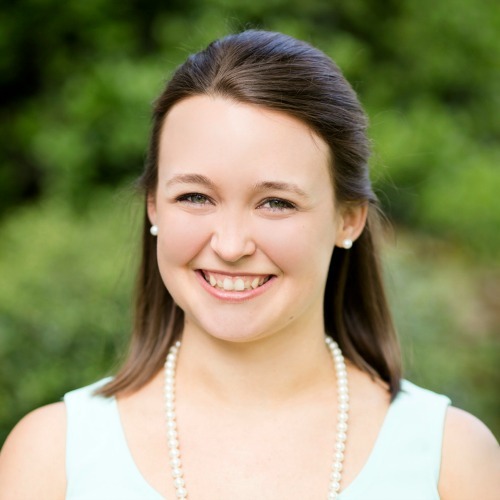 Hi Nicole, I am new to your blog. I really like your Tiffany blue blog theme. Anyway, congratulations on your pregnancy!